It’s only July, but I’m already crocheting things for autumn. This is the hat I made for my youngest son, who is three. Actually, this hat has a nice stretchable texture and it fits my older son, who is five, as well. So the size is 3 to 5 years old. The final hat measures about 20 inches in circumference and 7.5 inches in height. This is not an easy project! 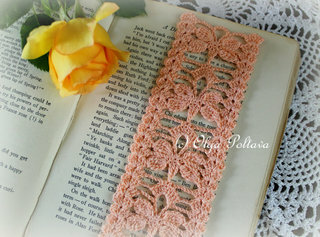 You must be very comfortable working with front post and back post double crochets. I found that it’s quite tricky to work 2 back/front post double crochets into 1 back/front post double crochet. But it is possible! 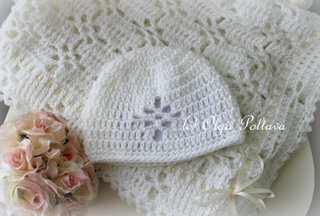 The yarn that I used for this hat was Bernat Softee Baby (100% acrylic) in grey color. I used up about half the skein, somewhere around 170 yards. This yarn was perfect for this project. The hat is soft to touch and stretchable. The little model in the photos is my son Niko. He didn’t quite get it why mommy wanted him to wear a hat and a jacket in summer heat. But once I mentioned a popsicle as a reward, he was happy to smile at the camera. Isn’t he a charmer? I really enjoyed working on this project, and I love how it turned out. 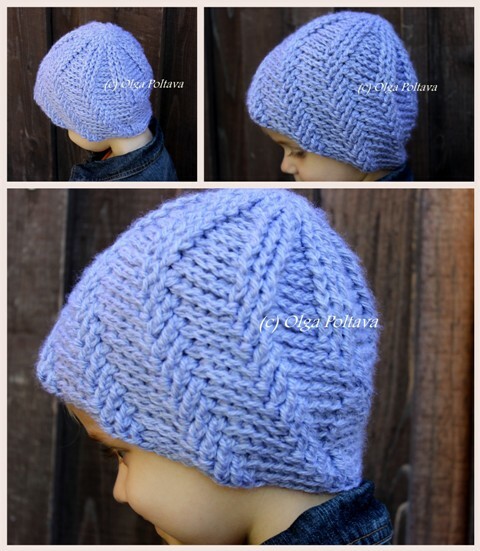 I have a few more autumn/winter projects in mind – a similar beanie for my older son, and maybe some slouchy hats for both of them. 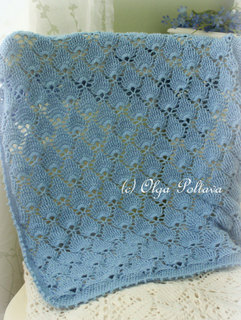 I also have a beautiful baby alpaca wool yarn in my stash, which would be perfect for a new scarf or cowl for myself. 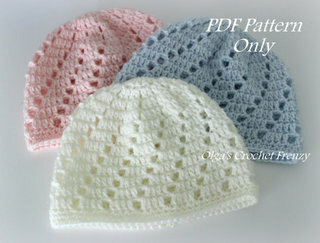 The pattern for this hat is available in my Etsy and Craftsy shops. Hello crafty friends! 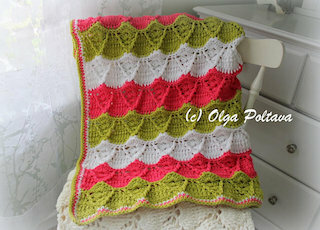 Here is my new baby blanket, which I finished just a couple of days ago. The yarn that I used is my favorite Snuggly Wuggly Big by Loops and Threads. I usually buy it from my local Michael’s store, where it’s sold for 9.99. But I installed Michael’s Weekly Ad app on my phone, and now I almost always have a 40% off coupon on hand. That’s a pretty good deal! 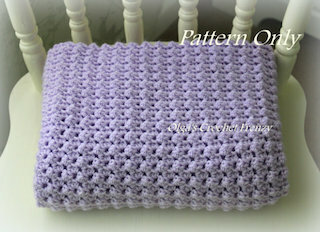 The pattern of this blanket is very simple and easy to remember, and it looks the same on both sides. 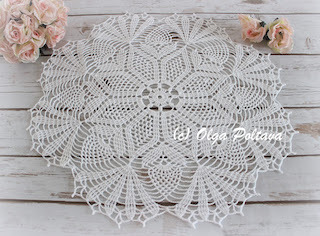 This is the kind of project where after the first couple of rows you just repeat the same instructions over and over and don’t need to worry about counting the stitches. 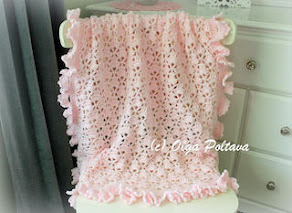 I have a few baby blankets that I was going to donate, but after reading the baby blanket charity guidelines, I realized the designs of my blankets are too open/lacy. But this one should be a good fit. 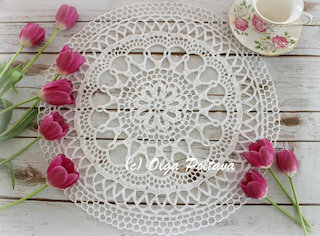 I still don’t know what I will do with the lacy ones. Perhaps I’ll unravel them and make new ones using some tighter stitches. 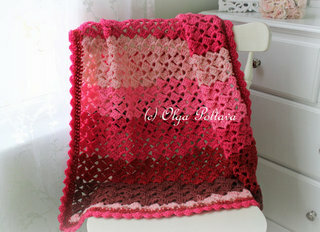 The pattern for this blanket is availbe in my Etsy and Craftsy shops. Summer is in its prime here in California. I have a lot of yellow-and-red gladioluses blooming in my garden. They are like soldiers standing tall and enduring the hot weather. I like their cheerful and warm colors. And butterflies and hummingbirds are frequent guests in my garden these days. All this inspired me to put on hold the autumn hat for my son that I was working on and make something summer-like. 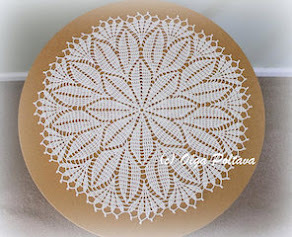 The free pattern (symbol chart) was from Anabelia Craft Design blog. 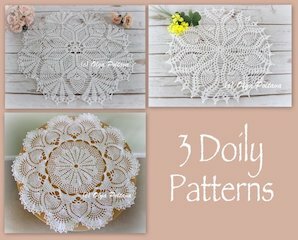 I discovered this blog a couple of months ago, and I really love it. 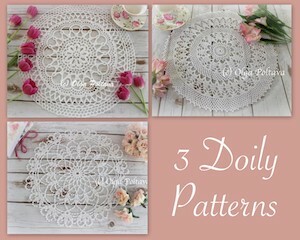 There are so many wonderful projects and free patterns there. I hope your summer (or winter if you are in the Southern hemisphere) is going well, and you too are enjoying whatever the nature has to offer! 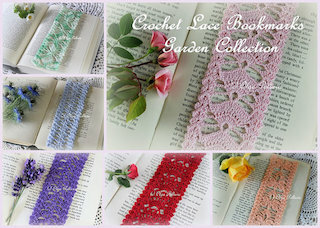 I wanted to let you know that I no longer update Lacy Crochet Facebook and Twitter accounts. To be honest I still don't quite understand the rationale behind all these social media channels and how exactly they are supposed to work. For example, I noticed that a very small percentage of my FB followers actually get to see my posts. Then what's the point of posting updates? 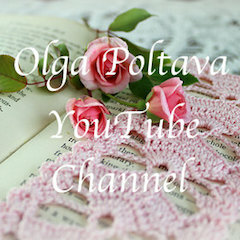 I'm trying to cut down the overall time I spend on the Internet, so leaving Facebook and Twitter seems like a good start.